Architecture, East Bay Neighborhoods, Fun Stuff!, Good Times!, Hot Properties, Interesting Facts, The Scoop! Fun East Bay Home Needs a Name. Okay folks! 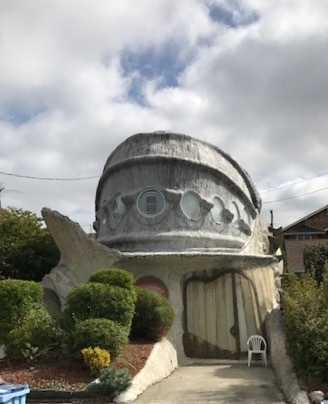 Today, while touring property I came across this home, which is one of the most unusual homes I've every seen, so I had to snap a pic! Check out the fin at the left. Needless to say, this is a very custom home. It may already have a name, but what would you name it? ?